Are you a die-hard makeup lover or even an artist who is very active on social media? Then you definitely know who LilPumpkinPie05 is. Jackie Olayiwola Aina of Makeup Game On Point. She is not just a makeup artist and a makeup vlogger (check out her youtube channel and don't forget to subscribe) but best of all, she is a Nigerian and i got the wonderful opportunity of having a LilPumpkinPie05 blog interview post, lol. 1923 Blog: Please tell us a brief history of yourself and how you got your first major break in the makeup industry. I started wearing makeup at a later age compared to most girls: 17 years old (Jackie I beg to differ, i started wearing makeup at 21, lol). I had so much respect for the artistry of makeup that I would have rather waited until I was old and mature enough to make it look good before I started wearing it myself. That fascination turned into frustration, whenever I'd go to a makeup counter or store and the makeup artists would say things like "oh you can't wear that, that won't look good on your skin tone". When I was was tired of being told what I can't do as a woman of color, it began to pique my interest much more, and that turned into practicing on family and friends, and then my first big break was when I got hired to work for MAC Cosmetics, that was such a huge deal to me! There are far too many to name! Ultimately time after time again I enjoy the moment when I get to unveil the finished product to the client, helping them see and believe something inside of them they never knew existed. I love proving stereotypes wrong; when a woman says "oh that won't look good on me I'm too dark, I'm too light I'm too this or that" I show them ways to make things work for THEM. And that lightbulb moment, something as simple as discovering purple lipstick can look good on you sometimes can ultimately lead to a bigger lightbulb moment, like being able to understand the color wheel. did i forget to mention that she absolutely loves colour? 1923 Blog: What would you say is your signature style? 1923 Blog: When people look back and even those who arent familiar with your works, what would you like them to see? I definitely want them to see how much my artistry has improved, because I know it has tremendously. And I still have much much more to learn! 1923 Blog: What makeup tool and product can you absolutely not do without? This is IMPOSSIBLE to answer! lol! But oddly enough I'm going to say some type of lip balm, for myself that is. I can go months without wearing makeup but I refuse to have dry lips. No ma'am, not up in here. And I cannot live without some type of SPF for my face either. Sorry that's 2 isn't it! No problem dear, i can't live without lip balm either so that makes 2 of us. 1923 Blog: You credit your time at MAC for being a great way to gain inspiration and learn things one isn't exposed to in makeup school. Please tell us the 3 invaluable things you learnt there that you would also like other makeup artists to know. For one I surely learned how to sell makeup, how to address the needs of a client, and how to do 50 things at once because it gets CRAZY busy on Saturdays! 1923 Blog: For makeup artists who dont have counter experience, what would you say to them? Either as a word of advise or as something they should improve on. You have to remember that counter girls are there to sell. Ultimately whether or not you know how to do makeup, you can still get hired. I knew plenty of girls with ZERO makeup experience that got hired for MAC. But they had strong customer service, retail and knew how to sell. Ultimately being a professional makeup artist and working at a retail counter do not necessarily go hand in hand. Of course it helps to be knowledgeable in makeup, but if you're long-term goal is to be a professional makeup artist being a counter-girl may or may not be your first choice! 1923 Blog: Women of colour have heard so many different things they cant do as regards makeup, what is the one thing they should absolutely ignore amongst all the various inhibitions? ALL OF THEM!!!! Seriously! I made my own rules and I encourage all women of color to do the same. 1923 Blog: Over the years you have watched the Nigerian makeup industry from a distance. What would you say are its strong and weak points? 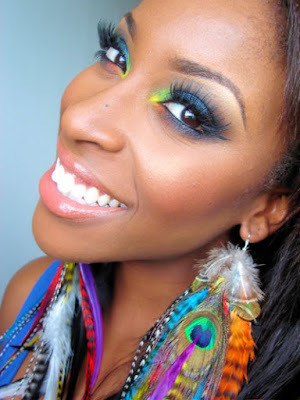 Oddly enough I'm not familiar with a lot of Nigerian makeup artists in the industry, I wish I did though! awww, im sure some of us would have loved to know what your opinion on the industry is. But we will wait till the next interview and hope you are familiar with it by then. 1923 Blog: Message to your fans and those who are looking up to you? You guys are all absolutely fabulous!! Trick question: who is your favourite vintage diva and why? 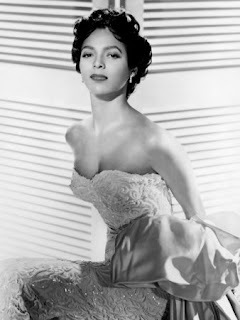 Dorothy Dandridge is one stunning woman! this is one of my favourite Jackie O (lol) videos. Hope you like it too. yeah i'm a big fan of hers as well...she is amazing at what she does. good interview Barbara! Hi Erica, its wonderful having you on my blog. I am so proud of her and her work so it was definitely a pleasure to do this interview with her. Remember to subscribe to my blog. thanks for visiting dear.